It is rare for two artists to collaborate on a series of paintings, but Robert Allen and Kevin Miller find the experience rewarding and gratifying. For “Firebird Visits the Elders,” Robert Allen painted most of the highly gestural and deeply textured foliage as well as the basis for the Firebird herself. Kevin Miller then developed those elements further and added the other animals. 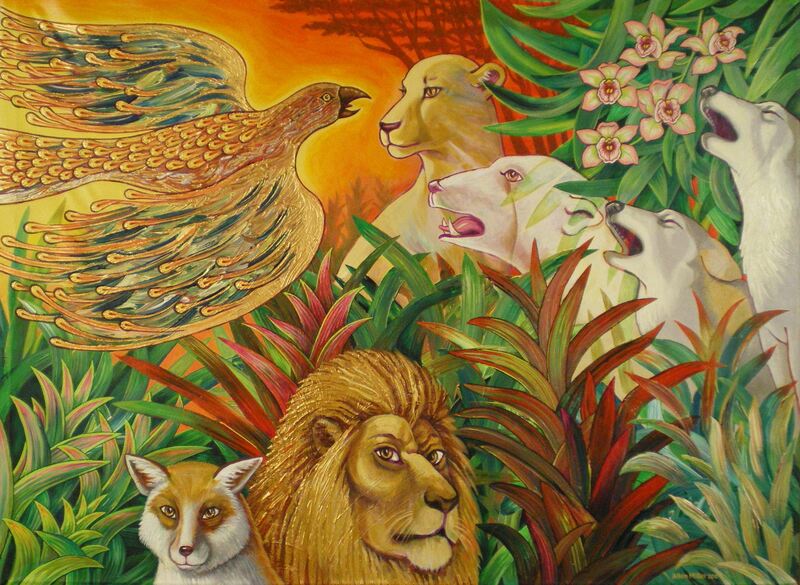 When the two artists showed their recent collaborative painting to Kevin’s 85-year-old father, he said, “The Firebird is the Holy Spirit visiting all of these animals that are becoming extinct. The polar bear is already disappearing.” Kevin’s dad may be compromised mentally and physically by Parkinson’s Disease, but his explication of “Firebird Visits the Elders” was spot on. Some of the animals howl and roar in agony, while others accept their fate. With this painting the artists are howling and roaring about the deadly assault on our planet and all living things, in the only way they know how — through their art. For “Panther Warns the Others,” Robert Allen painted the tree, the foliage and the flower buds. 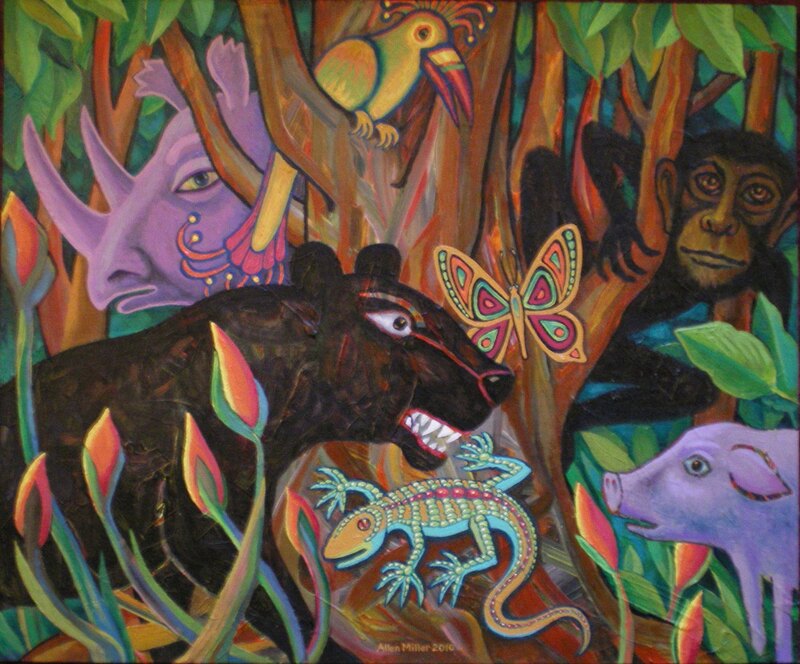 Then Kevin added all the animals to create a jungle scene in which the panther has clearly caught the attention of the others with a message that seems to have surprised and disturbed them. At first glance Allen and Miller have collaborated to create a nostalgic, kitsch recollection of “Last Christmas,” complete with Santa, The Three Wise Men, Bambi, a wooden elf, and their little dog Ethel in silver. But on second look, something is amiss. 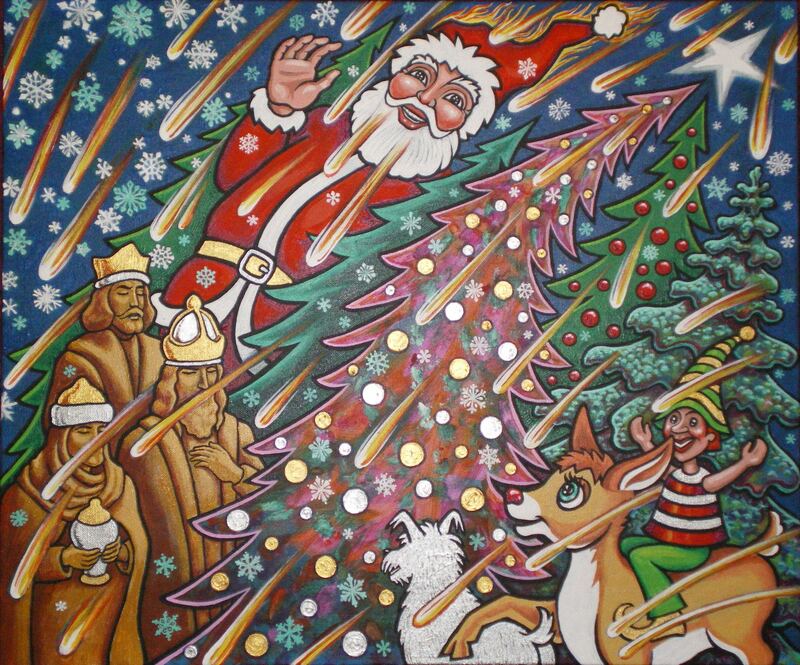 There are meteors falling through the idyllic snowflakes and Santa has caught fire! On no! What on earth is going on here? Could this be our LAST Christmas? Robert painted a calm and pleasing field of grass. 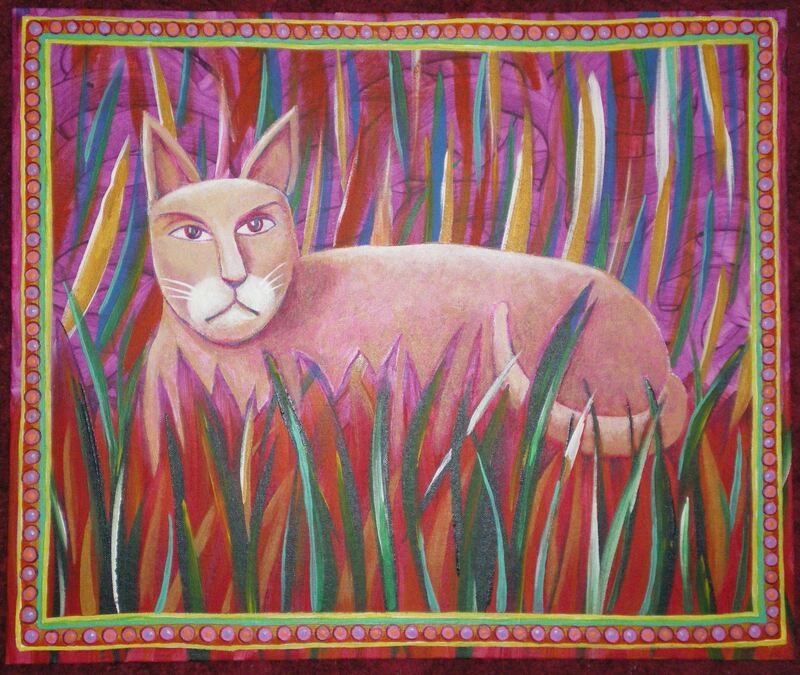 Kevin added the cat, which good friends Paul and Andy felt was actually a self-portrait of Kevin in an annoyed mood. So they named it Kranky Kevin Kat. Robert Allen and Kevin Miller will soon begin a long-awaited 6-Week Painting Sabbatical and more 2-artist paintings will be forthcoming.